Uh oh! You have to clean a hoarder house. 🙁 You found a bangin’ deal on a house that doesn’t look too shabby! Should be a quick flip and an easy buck. Then you find out that it’s a hoarder house. Now the cleanout game is on, and it’s time to clean a hoarder house. 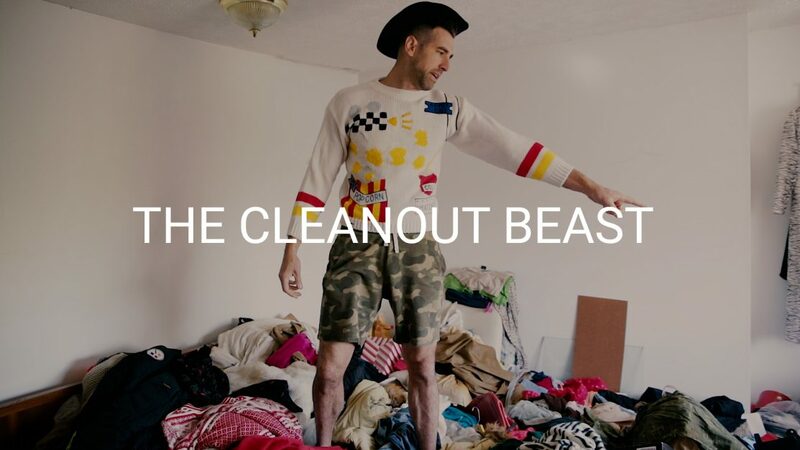 This hoarder house is filthy – there are piles and piles of garbage, clothes, and rotting food everywhere. What do you do? How do you clean a hoarder house? How are you going flip this house? You’ve cleaned places before; it should be easy, right? WRONG. Cleaning our hoarder houses is not easy and require a specific approach. There’s a methodology to getting a cleanout done fast, cheap, and efficiently. The first way is to do it yourself. New investors often underestimate how much a hoarder can pack into a house. A recent hoarder house we cleaned out took three dumpsters! These dumpsters cost about $500 each, so costs can quickly stack when you add man power, time, street permits for the dumpsters, garbage cans, garbage bags, and shovels. OR you can have the pros do it! They know the science behind doing a cleanout and can get it done right. It’s also usually cheaper than doing it yourself! We almost always use a professional waste removal company when we run into these situations now. 1. Work from the top down, and do all the stairs first. Cleaning out hoarder houses is very hard work, and you’ll get tired quickly. Starting at the top means that you won’t be climbing stairs later in the day, and can conserve energy as the job goes on. 2. Staff the project correctly. Bring the proper amount of people to the job. Morale stays high; people keep moving, and everybody is happy. If you don’t have enough help, cleaning out hoarder houses can quickly seem hopeless and morale will drop like a rock. 3. Be in shape! If you aren’t used to physical labor at all, it’s probably best that you don’t try this on your own. As stated in tip number one, this is extremely hard work. You’ll very likely want to give up or start making mistakes if you aren’t in shape and aren’t up to the physical task at hand. Just one more reason to let the pros take over when you clean a hoarder house. Once you learn how to clean a hoarder house you’ll have the edge on the other real estate investors and be able to turn headaches into profits.